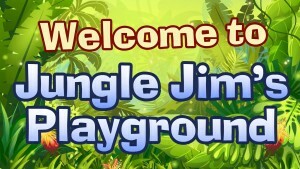 Two recent additions to the Media Gro network are locations based in children’s play centres. 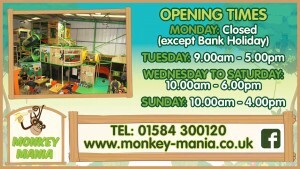 Monkey Mania, based in Shropshire and Jungle Jim’s in Bedfordshire are indoor soft play centres, that allow children to have maximum fun in a clean and safe environment. With a large footfall of families and cafe rests area for parents to relax, they provide an excellent location to provide visitors with dynamic advertising content. “Media Gro work alongside large indoor children’s soft play centre’s to offer digital signage customer information screens. The customer information screens communicate useful information about the play centre’s such as special offers, customer notices and encourage social media engagement. We also offer local businesses wishing to communicate and engage with a targeted audience of parents and families the opportunity to have promotional features on the customer information screens. “We chose Dynamax as they were very helpful when we initially contacted them and we felt like we were given great advice to meet our specific objectives. 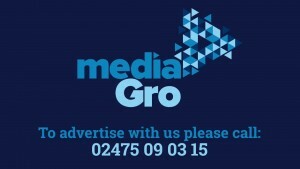 Media Gro, a modern media company, offer business customers a range of advertising media platforms. Using digital signage displays, they offer a cost effective way to showcase customer offers and services. Offering local and national business the opportunity to advertise on their screens, enabling business’s to engage with potential consumers and inform them of the services and products they offer whilst increasing brand awareness. They produce the commercials for both the venue and advertiser and by limiting the amount of advertisers are able to guarantee your advert is displayed several times per hour, every hour, maximising advertising impact. Should you wish to start your own digital signage media agency, we have a few tips that might help you get started. Take a look at ” Advertising screens and media owners” to find out more. This entry was posted in Digital Signage, Entertainment, Hospitality and tagged #avtweeps, #digitalsignage, #proav, advertising, digital signage, digital signage advertising, digital signage for hospitality by Dynamax. Bookmark the permalink.